What happens if I lie on an application? Simply put, you will be denied. We highly recommend that all applicants be as honest and upfront as possible. Owners are usually more lenient and may wave certain items when tenants are up front and honest with our leasing agents. We run credit, criminal and eviction checks. We also verify employment, income and rental history. Applications take between 48 – 72 hours to process. We run credit, criminal and eviction history, we verify employment and income and we verify rental history. Getting in touch with previous landlords and employers can take a couple of days. If you are denied because you do not qualify, you receive your deposit back but not your processing fees. Someone from our staff will contact you directly. 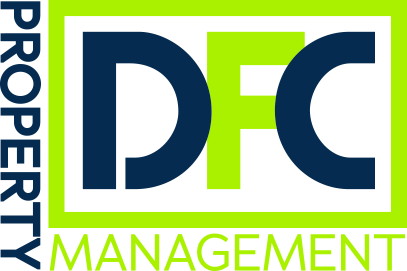 DFC operates on a first come first serve basis when running applications. DFC will hold a property up to 30 days in most cases. However, this is a case by case basis as each of our owners has different guidelines on how long they are willing to hold a property. Yes, we do depending on the property owner. Some do not allow pets. Property Insurance Companies do not allow certain particular Breeds, either purebred or mixed. Therefore, dogs fully or partially of the following breeds will be rejected: Akita, American Bulldog, Bullmastiff, Mastiff, Chow, Doberman, German shepherd, Husky. Presa Canario, Pit Bull, Siberian Husky, Staffordshire Terrier, “Wolf Dog”, Bull Terrier, Pit Bull Terrier, Rottweiler and any combination of these. Tenants will be evicted for misrepresenting any of the above types of dog, as well as for being in possession of any poisonous, dangerous, endangered species or otherwise illegal pet. Our pet policies are strictly enforced, and any breach will be grounds for termination of your lease agreement at tenant’s expense. ⦁ Special consideration is given to “Service Animals” that assist a tenant with special medical needs (please provide proper documentation). Please have pet selfie photos ready when applying. ⦁ No Aquariums larger than 10 Gallons allowed. ⦁ No ferrets, reptiles or rodents of any kind are permitted as pets. ⦁ All birds must be confined in cages and not allowed to reside outside their cage. Yes, if we do not run your application we reimburse your money. It will take approximately 7 – 10 business days to return your funds.